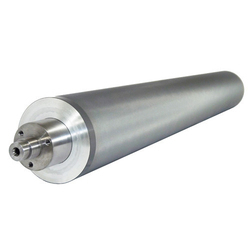 Our product range includes a wide range of anilox roller and anilox rolls. Roller Length upto 5 Mtr. Copper Planting of required thickness & hardness as per cell Pattern & Depth. Machining & Grinding on High Precision Lathe & Grinding. All Dimensions within very close tolerance with turning on high precision lathe. Roller Length 100-200 mm, Upto 5 Mtr. Our company is engaged in manufacturing and exporting a wide range of Anilox Roller to our clients. These are fabricated with premium grade material.